I have mentioned this before on the blog but I belong to a local choir called Just Sing. We meet once a week to practice and we sing a wide range of music including pop, rock and musical theatre. 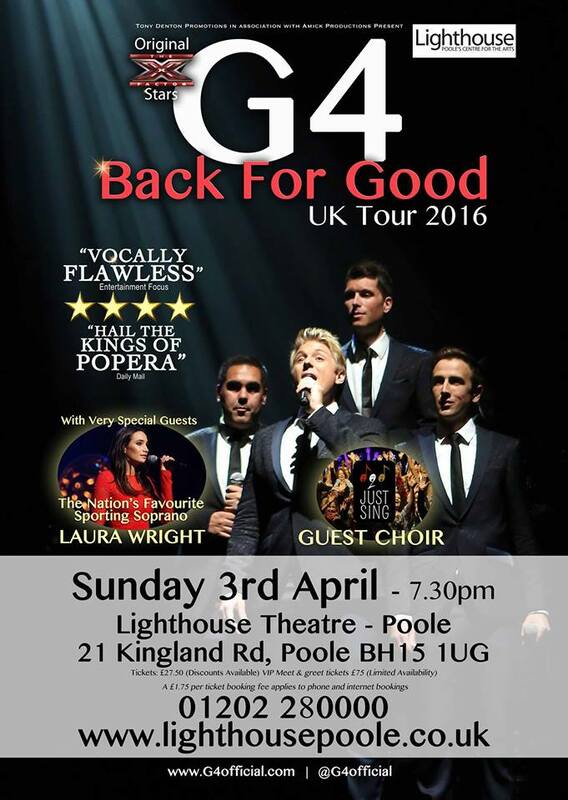 Back in January, one of our lovely ladies Beverley heard about a competition that was being run by vocal quartet G4. Cast your mind back to 2004, G4 were crowned runners up on series 1 of The X Factor and they went on to have 3 very successful albums. The group split up in 2007 but are now back together and about to embark on their "Back for Good" tour. 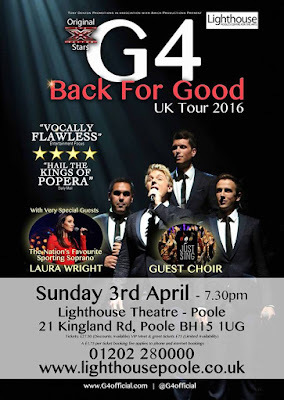 For the tour, G4 were looking for choirs to sing with them on stage and unbeknown to Just Sing, our name was put forward by Beverley. 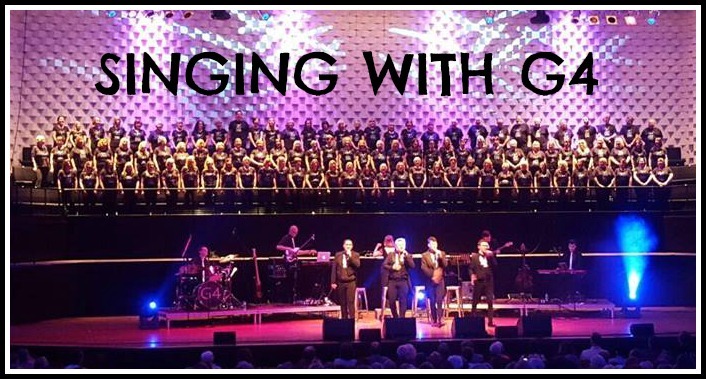 Fortunately for us, G4 liked what they heard and we were invited to sing with them on their opening night at the Lighthouse Arts Centre in Poole - how exciting!! 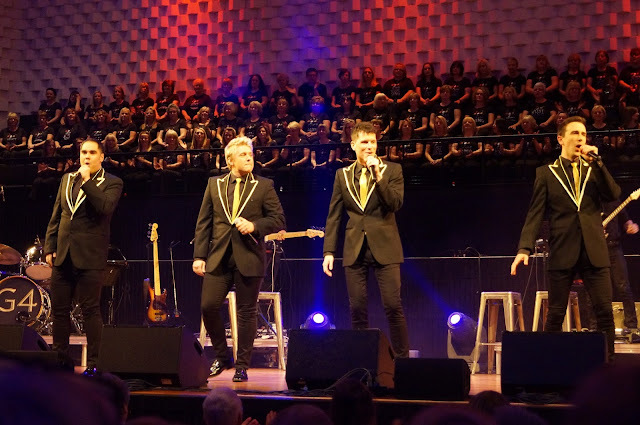 We were given the exciting news in February and the concert was April 3rd so this gave us just over 8 weeks to learn 5 new songs including complex harmonies. The set list was very different to our usual repertoire but everyone in the choir rose to the challenge and we set about learning our lines. 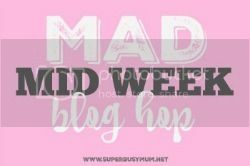 The next 8 weeks went by in a blur and I seemed to be singing "Barcelona" in my sleep. As well as our weekly rehearsal, I practiced in the car...in the kitchen...in the shower...anything to learn those harmonies! My 3 year old son even got in on the act, he'd join in if I sang in the car and on several occasions he belted out "One Day More!" in the supermarket! In the week leading up to the concert, we had two rehearsals and then all of a sudden, the day of the concert arrived. There was a flurry of activity on social media from lots of the choir members and everyone was so excited! Although the concert wasn't due to start until 7.30pm, we had to arrive early for a run through with G4. Nerves started kicking in a bit then, especially as we had to wait for our sound check. Nothing like playing the waiting game to get the butterflies going!! At just after 5pm, 100 members of the Just Sing choir took our places on the Lighthouse stage and we were off. It was so interesting being there for the soundcheck and seeing what goes on behind the scenes. We ran through our songs with G4 and it was definitely a different experience to singing in a school hall! It was slightly tricky as we couldn't really hear what we sounded like so we just had to sing and hope for the best! I took a video whilst we were singing You Raise Me Up, all you can hear is me singing though, oops! Once our rehearsal was over we had a little bit of time waiting for the 7.30pm curtain call so it was a chance to mingle with choir friends, take photos and generally get excited! When it was finally time to go on stage again, I felt so nervous and had major butterflies. But as soon as we walked out onto the stage and saw the audience the adrenaline kicked in and I just couldn't wait to sing. And sing we did! G4 were incredible! I've seen them live before but this time around was something else. The vocals were crystal clear and the harmonies just gave me goosebumps, especially on songs such as Bring Him Home and Bridge Over Troubled Water. 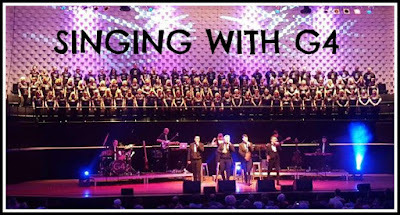 As well as singing with G4, Just Sing got the chance to perform two songs by ourselves. Our choir leader Kelly chose Sing and Halleujah. Sing has always been special to Kelly, it inspired our choir name and we have always loved singing it. Halleujah is another favourite and it never fails to give me goosebumps when I hear it! G4 did several medleys which meant they could cover more songs and this was a great idea, loved the Queen medley but the musical medley just blew me away! Just Sing sang a total of 5 songs with G4 and the highlight for me was probably Nessun Dorma. I never thought in a million years that I'd be up on stage at The Lighthouse singing in Italian so it was very surreal but wow, what a song. There's a part of the song where the choir sings the chorus and what made it for me was when G4 all turned around to watch us sing, what a magical moment!! The song is very emotional anyway but I'm sure I wasn't the only choir member to be feeling a little choked up at that point! The concert ended with a mass singalong to some classic rock songs and the atmosphere was just brilliant, we didn't want it to end. 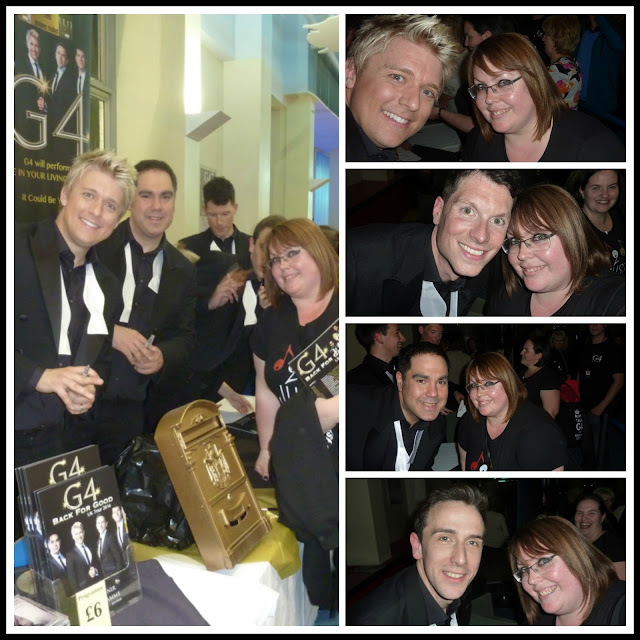 G4 did a meet & greet after the concert and it was lovely for us to be able to meet them and say thank you for such a great opportunity. They were absolutely lovely and so friendly - and very happy to take selfies! It was such a fantastic night and I really enjoyed myself. Singing with 99 other people, from all walks of life, young and old was a moment I will never forget. Thank you to G4 for letting us sing with you and thank you to my fellow choir members for being amazing! Hey there, nice photos and posts!